Jump to 2005, and a Learjet en route to Cairo. The crew detours to try to save three Americans trapped in a dry lakebed in Chad. (Flying adventure scenes). These bad guys are Hizballah (aka Hezbollah, Party of God, Islamic Jihad), "martyrs like a swarm of bees" who are being smuggled into America by the Sociedad. The primary good guy is, as usual, Link Anderson -- whose two closest friends are kidnapped by the Serpientes in a chemical attack on the Weyland Foundation. Tom Wilson is a brilliant storyteller. Teeming with helicopters, brutish thugs and tomahawk-waving Indians, this thriller takes readers on a gripping, and rather gruesome, journey through the Northwoods of Michigan and Wisconsin. When Spirit Lake reservation tribal leader Senator Eddie "Little Turtle" Adcock turns up dead, rumors surface that the revered deceased may have stolen Indian artifacts. Officials from the Weyland Foundation, an organization dedicated to making the world a better place, believe the accusations are bunk, so they dispatch agent Link Anderson, a half-Blackfoot Indian. Soon after Link arrives at Spirit Lake, he learns of the Chicago crooks who have overrun the reservation and who terrorize the local people, and he realizes that the only way to clear Eddie's name is to bring down the mob. Tribal council member Jenifer Toussaint joins him in his quest and, eventually, a band of Manido-Ojibwe warriors makes a stand as well. 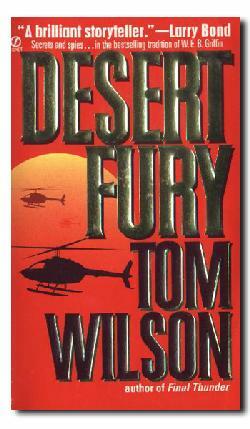 Wilson writes with authority, and his theme of Native-American exploitation echoes throughout. 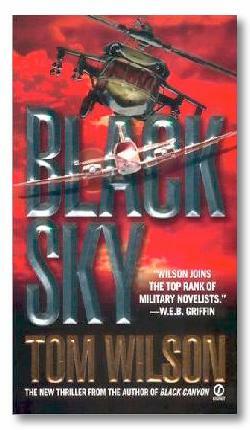 Wilson joins the top ranks of military novelists. A millionaire's daughter has vanished in the Colorado mountains. At first, Link's job looks like a simple case of search and rescue. But when he realizes that an international criminal is also looking for the girl, he's caught in the middle of a terrible game of cat and mouse. A decorated war veteran accepts a job with a private foundation that protects the country from outside tyranny. 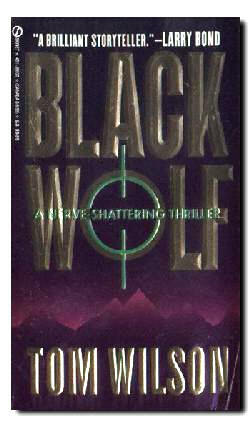 His first assignment is to hunt down a rogue FBI agent who has been turned by the Russians. With the help of a beautiful geologist, he must also locate a missing author on nuclear arms waste. Together, they uncover a conspiracy that explains both the motive of the ex-agent and the disappearance of the author--a secret stash of plutonium hidden in the desert. Now they must find a way to stop the agent's attempt to exact revenge on the foundation which may have deadly results for many! A plane crashes in the remote Utah desert, setting off a search for survivors--and a desperate bid to recover a top secret document one of them was carrying. Potentially devastating to the security of the U.S., the document is also the object of a search by a band of international terrorists. It is a race that only one side can win. Link Anderson, a Native American veteran of the Gulf War, is called into service to help locate a terrorist known only as "Ghost." As Link is drawn further into the case, he realizes a strong bond exists between him and the terrorist--a bond which threatens to reveal a devastating secret from Link's past. 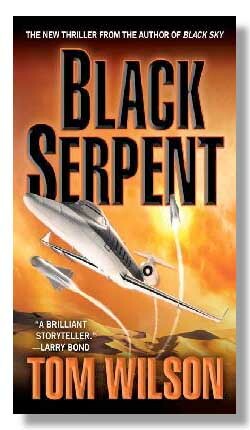 From the author of Tango Uniform and Termite Hill. Note: Termite Hill has been re-released. The Amazon.Com link below will take your browser to a page where this book can be ordered new. Fighting their way through Soviet MiGs and SAMs, Lt. Col. Mack MacLendon's 354th Tactical Fighter Squadron rise to the challenge with the Wild Weasel, a technological demon. 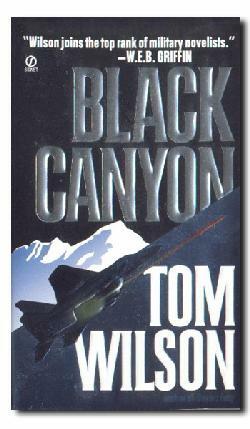 "Tom Wilson is a brilliant storyteller. He was there, and he puts you there, too. 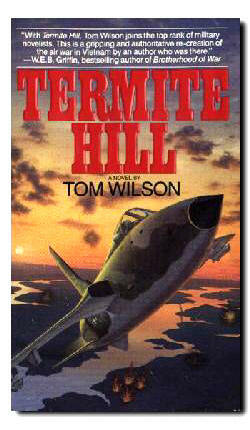 If you like flying, you will like Termite Hill. This is how it really was." --Larry Bond, author of Red Phoenix and Vortex. 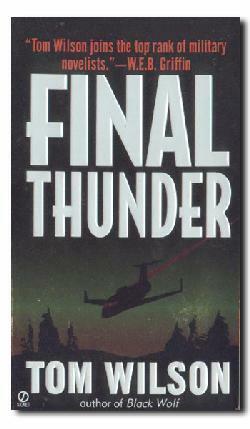 "Tom Wilson takes you from the fighter cockpits of the SAM killers to the intricate workings of the enemy air defenses. 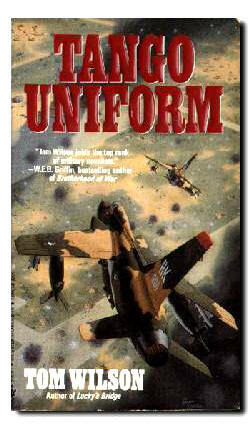 A knowledgeable writer and combat flyer, he was there and tells the real story." The 354th Tactical Fighter Squadron is back in action. (We met it in Wilson's Termite Hill .) 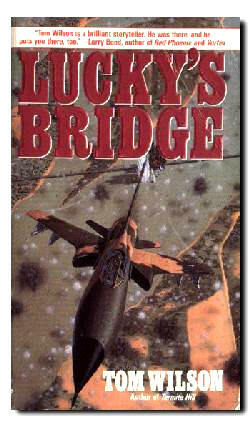 The mission is to destroy bridges in and around Hanoi, which sounds simple enough. But--tipped off by an American mole--the North Vietnamese know the U.S. targets in advance. U.S. pilots are hindered greatly: Many SAM sites, air bases, and other strategic targets are in off-limits areas, and lots of bombs are needed to take out a single bridge. Outstanding book on the Vietnam Air War! This book is out of print, but worth hunting down in the used book stores. Second book in a series of three. I recommend reading Termite Hill first. All three books in series are hard to put down. Tom Wilson makes you feel like you are a part of squadron. As the enemy masses for its greatest assault of the Vietnam War--the Tet Offensive--the American high command receives a daring new plan that could result in a quick and decisive victory.